Home : Mount for SmartPhone & Galaxy Note : Mount for iPhone : Mount for iPhone 4/4S/5 : Mini Desktop / Friction Mount for SmartPhone, PDA, iPhone, Blackberry, T-Mobile G1, HTC Touch etc. 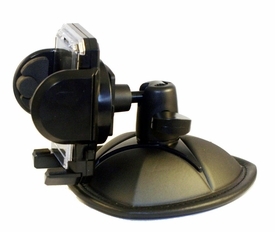 Friction mount with non-skid material designed to keep SmartPhones or PDA in place without hardware or adhesives. The universal cradle expands width from 1 3/4" to 4 1/4" and can be rotated side ways for landscape viewing. The base is about 5" in diameter.